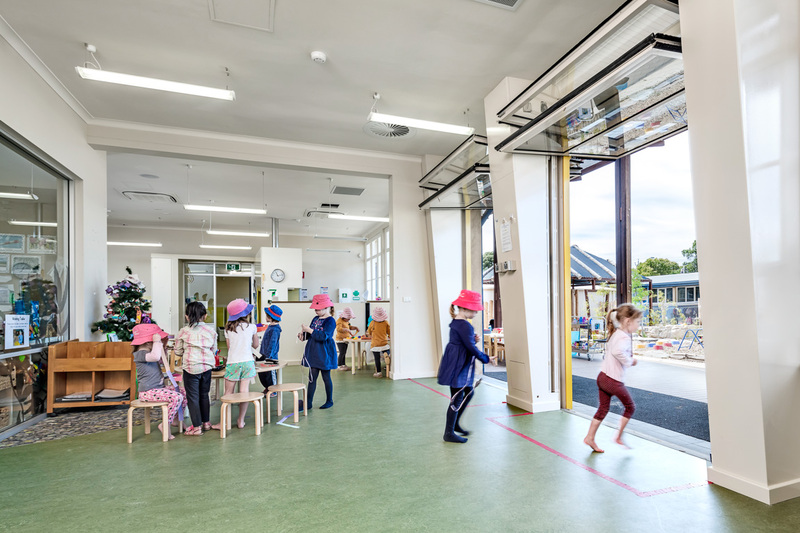 Hampstead Preschool has re-emerged from a former classroom block giving the 1950s building a revitalised dynamism. 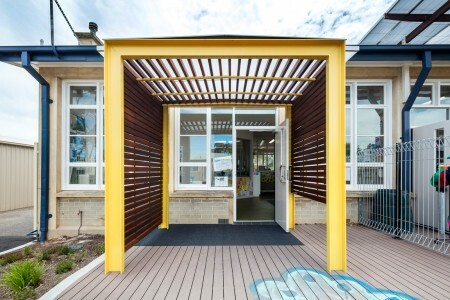 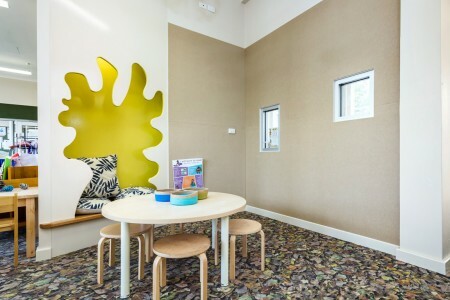 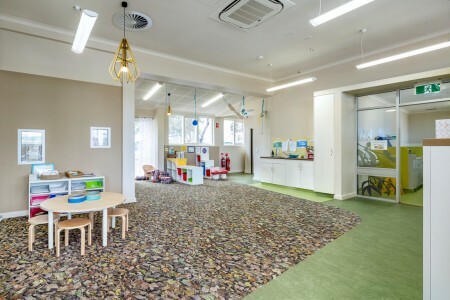 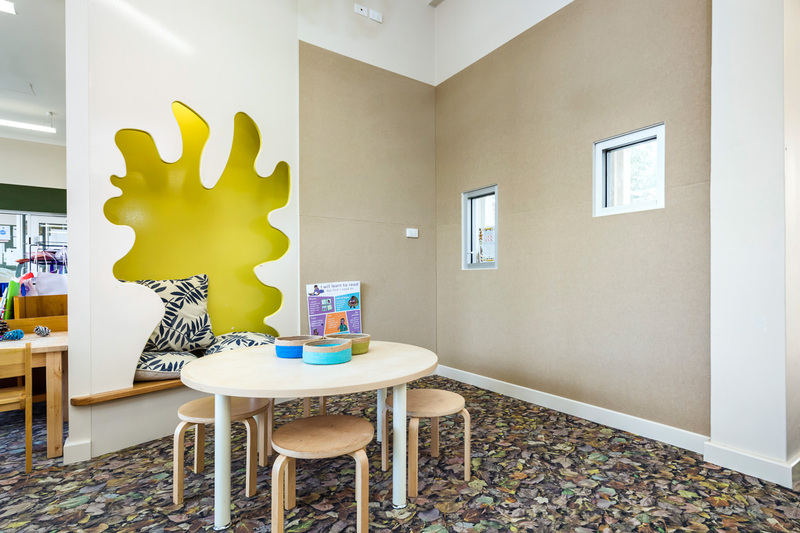 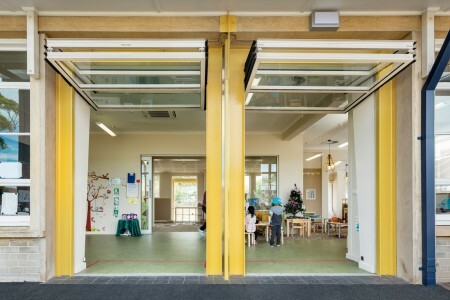 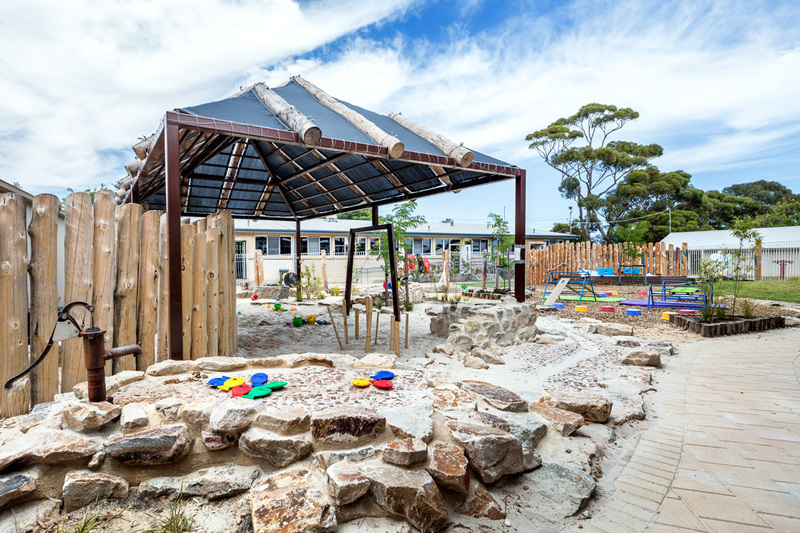 Formerly located in another part of the Hampstead Primary School the new facility provides places for 33 students with a mix of activity areas and withdrawal space opening out to the deck and outdoor learning area through automated folding walls. 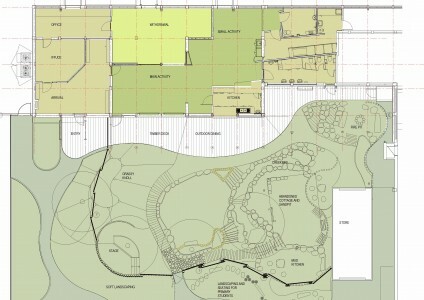 The activity spaces are centred around a kitchen which serves both inside and to the outdoor meals area on the deck. 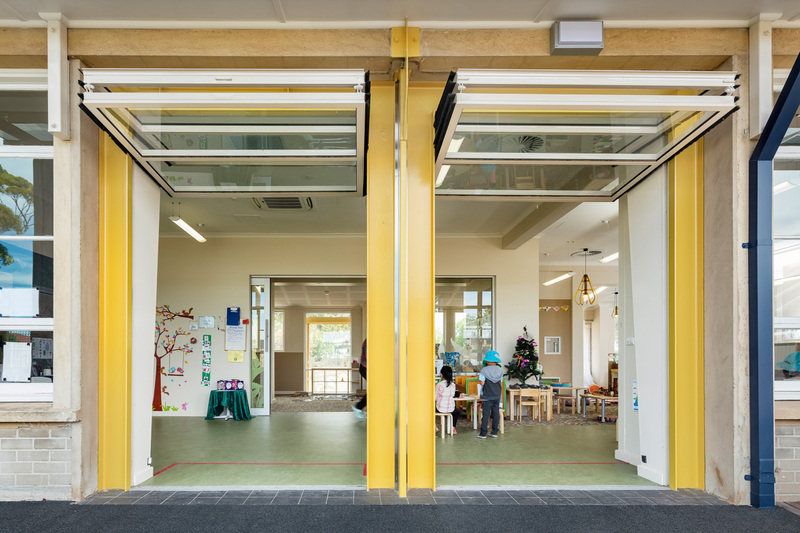 The generous verandah over the deck lifts up to the south scooping in the soft south light through the wall of panelled glass. Outside, the landscaping hints at South Australian topography reflecting the Adelaide plain with grassy knoll and performance stage, the Adelaide Hills with the ‘Abandoned Farm Cottage’ providing shade over the sandpit and the Flinders Ranges with the rugged dry creekbed and fire pit. 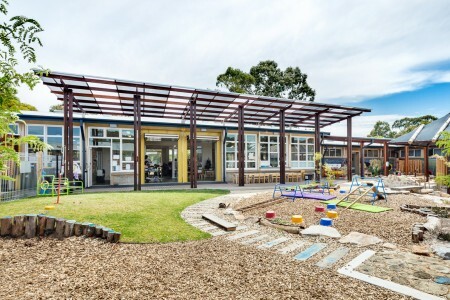 As the strategically placed trees and vines mature, natural shade will again dominate, reminiscent of the four beautiful Claret Ash trees removed by the school just prior to the commencement of the project.